Frederick Arthur Hardy, known as Fred, was born in Yeovil in the summer of 1899, the youngest of the five sons of William Sherring Hardy (1866-1916) and Annie née Snook (1866-1958). In the 1901 census William and Annie were living at 6 Camborne Grove with their sons, all born in Yeovil; George Thomas (1887-1976), Edwin Charles (b1890), Walter Augustus (1892-1984), Percy A'Court (1896-1965) and Fred. William gave his occupation as a Wine Merchant's Cellarman. At some time between 1909 and 1911 William became the manager, and Annie the manageress, of the Castle Hotel in Middle Street. The 1911 census recorded William and Annie, together with George, Walter, Percy and Fred living at the Castle Hotel. Around 1915 the family moved to the Butcher's Arms in Hendford, where William became the licensee. Fred was employed as a motor driver at the Mermaid Hotel in High Street. Fred turned eighteen in 1917 and in March 1917 he enlisted at Taunton, becoming a Private in the Army Service Corps and his Service Number was M/299685. The Army Service Corps (ASC) were the unsung heroes of the British Army in the Great War. Soldiers can't fight without food, equipment and ammunition and they can't move without horses or vehicles. It was the ASC’s job to provide them. In the Great War, the vast majority of the supply, maintaining a vast army on many fronts, was supplied from Britain. Using horsed and motor vehicles, railways and waterways, the ASC performed prodigious feats of logistics and were one of the great strengths of organisation by which the war was won. At peak, the ASC numbered an incredible 10,547 officers and 315,334 men. However it is unlikely that Fred remained within the ASC for long as he was transferred to the 12th (Service) Battalion, Rifle Brigade (The Prince Consort's Own) with a new Service Number S/33746. His new battalion had been in France since July 1915 and moved to Belgium, fighting on the Ypres Salient. It is likely that as soon as he was transferred to the Rifle Brigade, Rifleman Fred Hardy was sent to Belgium to join his new regiment with a fresh influx of troops. We don't know specifically where Fred fought but he was reported missing, and was killed in action, on 20 September 1917. He was just 19 years old. In its edition of 20 September 1917 the Western Gazette reported "Priv. Fred Hardy, son of the late Mr Wm. Sherring Hardy, of the Butcher’s Arms, is reported missing. He joined the M.T., A.S.C. in March 1917 and was subsequently transferred to the Rifle Brigade. Previous to the War, he was employed at the Mermaid Hotel as a motor driver." 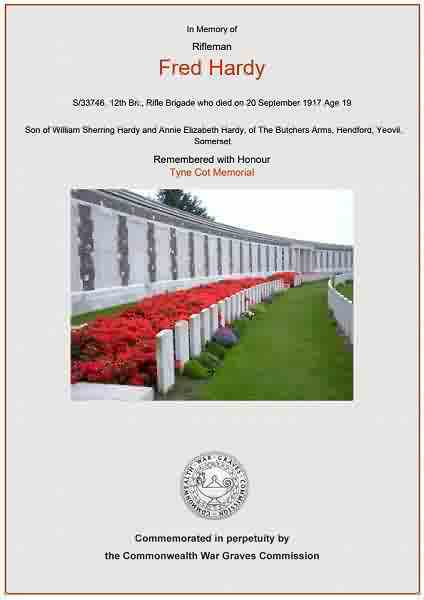 Fred Hardy has no known grave and is commemorated on the Tyne Cot Memorial, Panels 145 to 147. His name is inscribed on the War Memorial in the Borough. 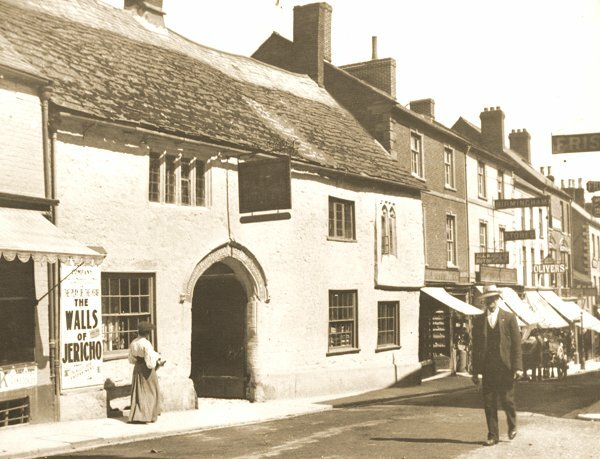 The Castle Hotel photographed in 1907, shortly before William Hardy became manager and moved his family here. 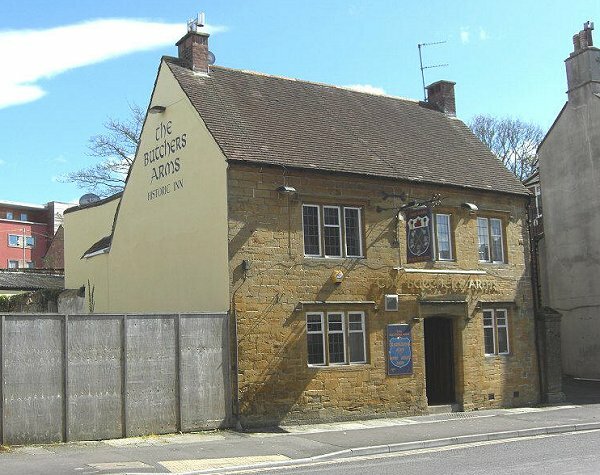 The Butchers Arms, photographed in 2012. The Hardy family moved here around 1915 when William Hardy became the new licensee. The Commonwealth War Graves Commission certificate in memory of Fred Hardy.